Rosemont Group is a privately owned offshore holding company founded in 2003 to invest private capital. The company has a varied portfolio of business interests within the renewable energy, financial services, hospitality, leisure, technology, luxury consumer goods and services industry. We have business interests in the UK, India, Pakistan, British Virgin Islands, Nigeria, America, Canada, Australia and Cayman Islands. Rosemont Group specialises in bringing a proactive approach to making private equity investments or co-investments alongside top tier financial sponsors. We have access to a team of investment professionals with expertise in capital markets, leveraged finance, restructuring and private equity. We utilise our experience, relationships and investment acumen to create future legacy enterprises and in turn generating healthy investment returns for our shareholders. We are uniquely positioned to make investments ranging from the small-market to mid-cap privatisations. We are actively seeking to invest $1 million to $10 million of equity capital per transaction and are flexible about the structure of our involvement and value-add. Our portfolio of companies consists of an international fashion brand, boutique vineyard, bespoke Italian kitchens, overseas property consulting and investments, marketing and sales within the alternative investment market, solar energy deployment in developing markets, technology investment, UK land and property development, trading in Western Africa, oil and gas services, restaurants, exclusive members-only clubs, mobile phone hardware & accessories and software for Samsung phones. Rosemont Group is actively seeking to deploy capital across a broad spectrum of industry sectors, through buy-outs, growth equity financing and recapitalisation. Rosemont Group is an independently owned investment house and acquisitions boutique, comprising of two principals and a team of four senior corporate finance professionals with significant mid-market experience. Since the mid 1990’s Rosemont Group’s principals have advised and actively invested in businesses ranging from small to medium size enterprises. We have successfully built an investment team with diverse and complementary capabilities as investors, business managers and advisors. Rosemont Group’s team applies a wealth of experience to all its transactions and on behalf of its portfolio companies, all with the aim of increasing productivity and achieving superior returns on investment. Rosemont Group will only employ this strategy to achieve a specific objective, usually only to invest in a self-sustaining cash-generating asset. Rosemont Group is capable of investing its expertise in an existing organisation and therefore assist in reorganising the financial, legal, ownership, operational, or other structures of a partnership company for the purpose of making it more profitable or better organised for its present and future needs. 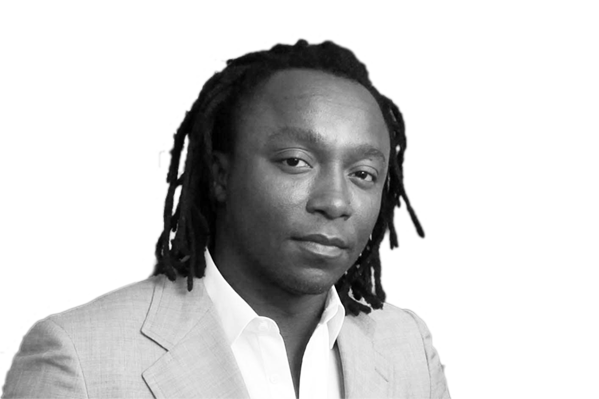 Freddie Achom is the Founder and Chairman of Rosemont Group and a notable entrepreneur and investor, residing in the UK and France. He founded the international private investment group of companies to focus on financial services, luxury goods and services, hospitality, renewable energy and digital technology. Freddie’s vision for the group is clear: to be part of globalisation by creating and developing brands, concepts and solutions that will one day become recognisable. He began his business career in the mid-1990s where he held several mid to senior level positions in the financial services and sales sector at Stratton Capital (New York and London) and Oldfield’s PLC. He managed more than £180 million in transactions over five years before embarking on his own as a partner at City Business Partners; a corporate finance boutique and business development consultancy, which was sold to the UK firm EGC three years after it was founded. Rosemont Group is headquartered in London with international offices in New York and Mumbai. It was created in 2003, initially to house, manage and protect private equity investments and stake-holdings, as well as to independently and proactively increase personal wealth. Today, Freddie oversees all the group’s investment activities and its various funds. In 2013, Freddie Achom was recognised in the JP Morgan-sponsored Power List, as one of the 100 most influential Britons of African and Caribbean heritage, for his achievements in business. In 2010 and 2011, he was listed in the London Evening Standard as one of the 1,000 Most Influential Londoners.